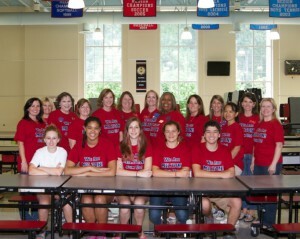 Have you ever wondered what PTAs have done to help their schools become nationally-recognized Schools of Excellence? 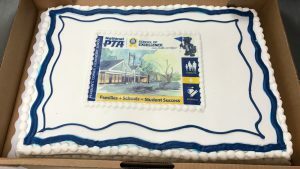 Check out how these PTAs made a tremendous impact on continuous school improvement through the School of Excellence program. 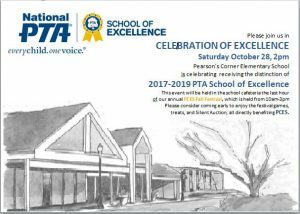 Enroll your PTA in the 2017-18 School of Excellence program now thru October 1 at PTA.org/Excellence. 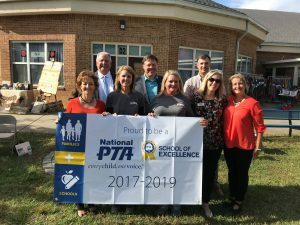 Through the School of Excellence program, the Virginia A. Boone Highland Oaks Elementary School PTA created the Kindness Project with the mission to foster kindness and respect in our student body by engaging students, parents and faculty alike. All students worked together during their art classes to create art while focusing on 8 core values: Citizenship, Cooperation, Responsibility, Integrity, Fairness, Kindness, Respect and Honesty. Furthermore, families were encouraged to work one-on-one with their children at home by coming up with examples on how they could be kind at school. 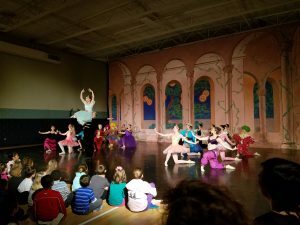 The PTA communicated this program by reaching out to all faculty members via emails and educating the faculty at their Faculty Meetings. Parents and students were sent home “kindness contracts” to fill out and work on together. “Kindness Necklaces” were given out to all students “caught” being kind in the classroom and during lunch. 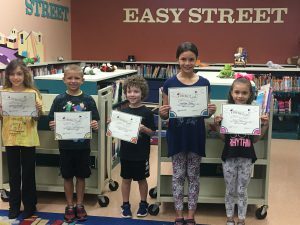 Each week, winners were chosen by teachers and faculty members and children were asked to make a special appearance on the school’s television stations so that they could be recognized for their kind acts. At the close of school year, the classes with the most participation throughout the process were awarded with a cookie party. 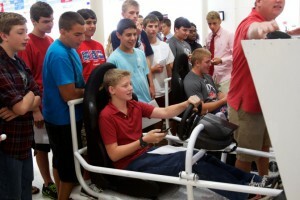 The Kindness Project was so successful that the pilot event will become a permanent program at the school. The Floranada Elementary PTA worked to increase male role model participation by creating the Floranada Watch D.O.G.S. 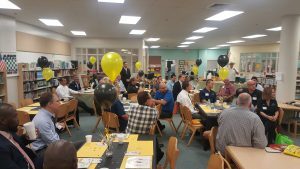 (Dads of Great Students) program enlisting male family role models to volunteer at least one full school day during the year. The program was promoted by having the Watch D.O.G. and the students he represented wear designated t-shirts during the volunteer day and having their picture taken for a Wall of Fame. The Watch D.O.G. started the day by greeting families in the car line at drop off, then joining in on classroom activities, specials and even field trips, and closing out the day with the children at dismissal. Most importantly, the Watch D.O.G.s were encouraged to pay particular attention to children who demonstrate a need for male role model interaction and act as a mentor to those children. The program was so successful that it increased exponentially by mid-year through student recommendation. 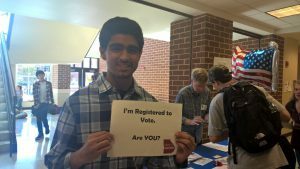 Johns Creek High School supported student success through a College and Career Fair, with over 60 college representatives to provide hundreds of students information to assist them in their college and career planning. They welcomed all of our diverse families by displaying a welcome banner created by the PTSA. JCHS PTSA spoke up and advocated for every child by holding registration drives, attending PTA Advocacy Day at the Capitol and hosting a Voter Information Night and Candidate forum open to the entire community. JCHS PTSA collaborated with their community by bringing in community members to speak with students during the PTSA sponsored Red Ribbon Week (to address issues of drug and alcohol abuse) and for Wellness Week (to promote mindfulness and stress management). Enroll now to start the process in becoming a School of Excellence! 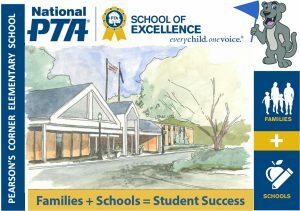 Visit our website at PTA.org/Excellence, contact Excellence@PTA.org or call (800) 307-4782 for more information. The Journey to Becoming a School of Excellence! 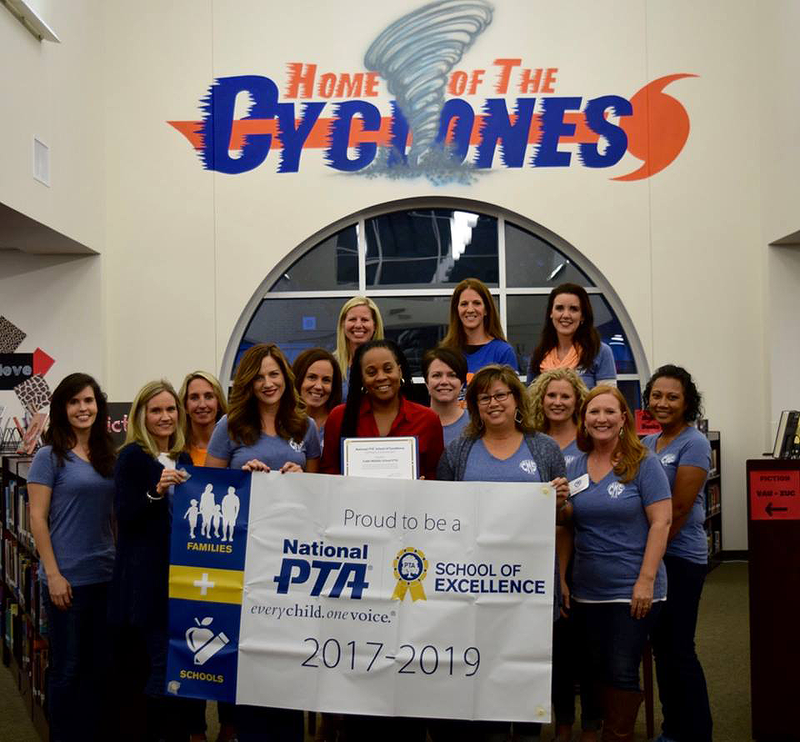 When a school and its PTA make a joint decision to become a National PTA School of Excellence, they are making a commitment to work together as a team to build effective family-school partnerships in their school community. There are three important steps on the journey to becoming a School of Excellence. By now, most schools that enrolled are at Step Three. This step, the completion of the Family-School Partnership Scan and the receipt of a customized Roadmap to Excellence specific to local needs, provides a clearer picture of both the successes and opportunities for improvement. This leads to the decision of which path your School of Excellence team will take in the coming months. The possibilities are limited only by imagination and dedication! After receiving the Roadmap to Excellence, some teams may wonder where to begin. For some schools, the Roadmap may seem extensive. This is the time to assemble the School of Excellence team, focus on specific opportunities for improvement and create an action plan by following these steps. Share your Roadmap to Excellence. Give your team plenty of time to review The Roadmap to Excellence before meeting. You may want to email a copy of it to your School Leaders and Board members or even set up a shared “School of Excellence” folder on your Google Drive.Organizing your School of Excellence documents (including your surveys and Family-Partnership Scan) on a shared drive—like Google Drive—is a great way to collaborate with your team. Meet with your team. You may want to set a designated meeting time just to discuss The Roadmap to Excellence and your next steps. At your meeting, be sure to review the National Standards for Family School Partnerships. 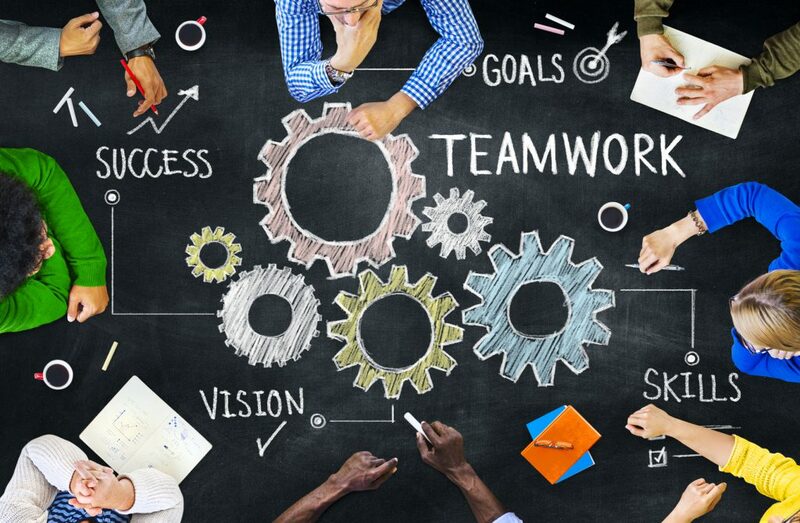 Discuss the joint goal you set with your School Leaders as part of your Family-Partnership Scan.Have your team identify two or three Roadmap recommendations per Standard to focus on for this year. 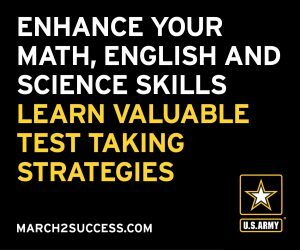 You may want to narrow down your focus by identifying those recommendations that align with your School Improvement Plan, accreditation process, or any other big plans your school has for this year.Your focused attention to making substantial progress in a few areas per National Standards will help you be successful. Create an Action Plan. Now that you have identified your goals, it’s time to determine how you’ll reach them! Brainstorm with your team of parents, students (when age appropriate), teachers, school leaders, and community members, and get their ideas and input on what they can bring to the table to reach your common goal.Maybe you’ll continue or build on programs and activities already in place, or maybe you’ll move off in a new direction. Whichever way that you decide to go, don’t forget to take advantage of the many user-friendly tools and programs that National PTA has to offer—you don’t need to re-create the wheel! Share your goals with your school community. This is a great opportunity to engage your families. Be sure to let families know how they can get involved and help by joining a committee, volunteering their time, or attending an event.You can use general membership meetings, your PTA website, newsletter and social media to promote your program, and be sure to highlight the special events and programs that are a part of your School of Excellence journey. Revisit your Roadmap often. Revisiting your Roadmap and those specific recommendations you have identified to work on this year periodically will help keep your team focused and on task.Set time on your Agenda at each Board meeting, general membership meeting, and principal meeting to discuss your School of Excellence progress, and don’t be afraid to rework and adjust your plan once you’ve see what’s working and where you may have an opportunity for improvement.After all, every journey has its pit stops and minor detours, and sometimes you make the most interesting discoveries along the way! Wherever the road to Excellence may lead you in the coming months, please know that you’ve taken an important step toward a better school community. It may not always be an easy trip, but there’s no wrong place to begin your journey. You CAN achieve greatness for your school, your students, and your community! Through teamwork, dedication, and shared goals, you can achieve Excellence. Lauren Van Hemert served as the president of The Centennial Campus Magnet Middle School PTSA for three years. She has also served on the Nominating Committee for the Wake County PTA and has promoted the National PTA School of Excellence on the county level. Both Kris and Lauren are recipients of the 2016 Phoebe Apperson Hearst Outstanding Family-School Partnership Award.